There’s a lot going on this week as the wheelie bins are being delivered. But I just wanted to take a few minutes to let you know that a new Recycling Calendar will be coming through your letterbox this week, or early next week. The new calendar outlines your recycling and rubbish collections from Monday 19 June, including collections over the Christmas and New Year period. I hope you’re going to like the new-look calendar as much as we do. Our team has worked hard to add in extra tips and advice on what items can and can’t be recycled including food waste, paper/cardboard, plastics, glass, cans/tins and garden waste, alongside which container or bag to use. We’re trying to make it as easy as possible for everyone to recycle as much as they can. You can also find more information on our ‘What Can I Recycle’ page on our website. Due to the new collection method our crews will be using, around 17% of the Borough’s collection days will change from 19 June. The calendar will confirm what your collection day is and which weeks for you are Blue and Green for recycling. When you look at the calendar you will see that paper and textile recycling has moved to a Green Week, so the same week as plastics and garden waste. Some people will experience an extra Blue Week on week commencing 19 June (not a Green Week as previously mentioned on the temporary 3-month calendar which covered April to June). This is not a mistake, so please do double check what your new calendar says to make sure you put the right containers out on the right day. Lastly, your Recycling Calendar should have arrived by 16 June, so if you haven’t received one by then (or ever mislay your copy) you can go to our website, click ‘Find’ and then ‘Download your recycling calendar’. I’m heading back out to visit some more customers. 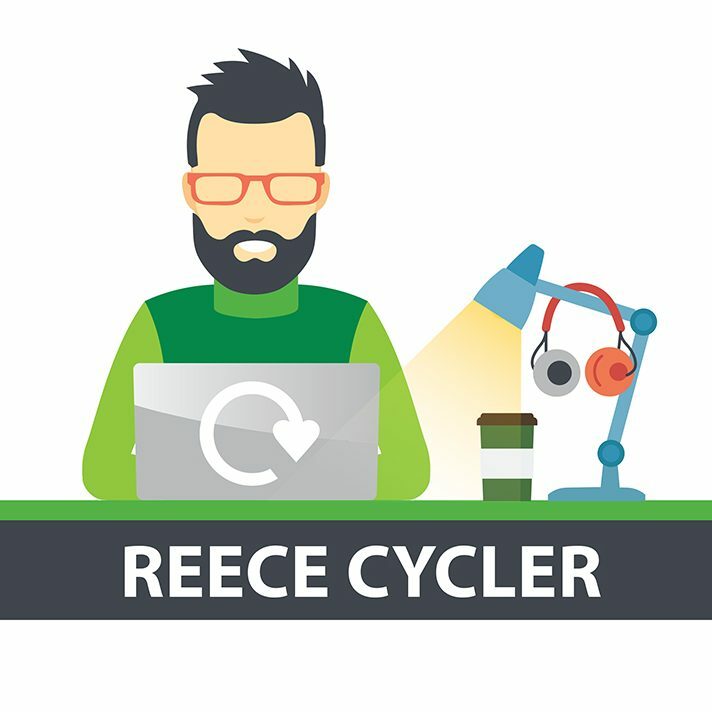 Do send in a comment if you have a question about recycling or the changes that are coming later this month. 3 black bag limit, and collection every 2 weeks?! I have babies, they wear nappies. You increase my council tax, yet decrease the the rubbish collection? 3 black bags every 2 weeks is ridiculous. The process will include a visit from one of us Recycling Zone Wardens to ensure we go through each application on an Individual basis. I think it’s a fab idea to have wheelie bins BUT why can’t we have one for all the recycling too like other towns do? It would make it so much easier for you and us. This is a really interesting question and the answer is about how the recycling processing plants grade the materials collected. By collecting our recycling in separate containers it is classed as ‘clean recycling’. This means it’s a higher quality product than when recycling is mixed in one wheelie bin. We are able to sell our ‘clean’ recycling materials to a processing plant, which last year gave us an income of £260,000. Councils that collect mixed recycling in one wheelie bin have to pay a licensed waste management company an amount (£) per tonne to take their recycling. By recycling more, we hope that we can reduce the amount we put into landfill and increase the amount of recycling we collected last year. Hi, wondering if someone can clarify…the new recycling calendar says to put paper, plastics and textiles in separate bags, which is fine as it’s what we do now. However the guide on the website seems to say we should also be separating paper from cardboard? Thanks for getting in touch. Paper and cardboard can be put out for collection in the same clear bag. If you have several larger cardboard boxes you may find it easier to flatten, fold and put these together in one bag. My husband uses a stoma bag which is changed about 4 times a week. I don’t think we need more than 3 black bags as there are only 2 of us at home, but do I need to apply for an “Exemption” because of the human waste which will be in the bag? My area isn’t even getting wheelie bins, giving the local vermin an extra week to shred the bin bags I now have to pay for and probably encouraging them to visit even more. That’s good for the environment? Thanks for nothing!! The only other item that animals may be after is excess pet food (as you can’t put this in your food waste caddy). If you have this problem I suggest you store your non-recyclable black bag rubbish in metal or plastic bins, with secure tops. I would also advise putting your black bag rubbish out on the right collection day just before 7am, not the night before. The new recycling calendar is rubbish (that is certainly where it belongs!). It is full of negatives about what cannot be put where with little information as to where some of those things SHOULD go. It is poorly written by a person that is clearly a poor communicator. Information that could and should have been on the calendar is only available in the FAQ’s on this website (what about those that cannot go on line?). You say waste and recycling should be put out by 7 am but should not be put out early; what is too early? some people may not normally get up by that time and others may well have left for work long before 7am. A final note at this point, this blog is so condescending. I’m sorry you feel that way, we’ve received positive comments about the blog and new calendar. For the first time in a few years we’re pleased to have been able to include a quick recycling guide in the calendar, something which we feel will help those that don’t yet recycle or could recycle more. The style of which is based on national good practice advice from WRAP (Waste & Resources Action Programme). We are aware that there are a number of people that are unable to access our online facilities either themselves or through a relative or friend. We offer support to those residents through visits from the Recycling Zone Wardens, Go Online team, our Customer Service Centre, or residents can visit our Community Hub in the town centre or their local library to access online facilities free of charge with all the support they need. We do ask residents to put their recycling and rubbish out as close to 7am as possible so that pathways remain clear for pedestrians. The exact timing will depend on when the resident is at home to do this, but just before bed the night before or in the morning before 7am is the advice we offer. I hope this goes some way to answering your comment.